Regular exercise has a favorable effect on many of the established risk factors for cardiovascular disease. For example, exercise promotes weight reduction and can help reduce blood pressure. Exercise can reduce “bad” cholesterol levels in the blood (the low-density lipoprotein [LDL] level), as well as total cholesterol, and can raise the “good” cholesterol (the high-density lipoprotein level [HDL]). In diabetic patients, regular activity favorably affects the body’s ability to use insulin to control glucose levels in the blood. Although the effect of an exercise program on any single risk factor may generally be small, the effect of continued, moderate exercise on overall cardiovascular risk, when combined with other lifestyle modifications (such as proper nutrition, smoking cessation, and medication use), can be dramatic. There are a number of physiological benefits of exercise. Regular aerobic exercise causes improvements in muscular function and strength and improvement in the body’s ability to take in and use oxygen (maximal oxygen consumption or aerobic capacity). As one’s ability to transport and use oxygen improves, regular daily activities can be performed with less fatigue. This is particularly important for patients with cardiovascular disease, whose exercise capacity is typically lower than that of healthy individuals. There is also evidence that exercise training improves the capacity of the blood vessels to dilate in response to exercise or hormones, consistent with better vascular wall function and an improved ability to provide oxygen to the muscles during exercise. Studies measuring muscular strength and flexibility before and after exercise programs suggest that there are improvements in bone health and ability to perform daily activities, as well as a lower likelihood of developing back pain and of disability, particularly in older age groups. Patients with newly diagnosed heart disease who participate in an exercise program report an earlier return to work and improvements in other measures of quality of life, such as more self-confidence, lower stress, and less anxiety. Importantly, by combining controlled studies, researchers have found that for heart attack patients who participated in a formal exercise program, the death rate is reduced by 20% to 25%. This is strong evidence in support of physical activity for patients with heart disease. Unfortunately, most Americans do not meet the minimum recommended guidelines for daily exercise. In 1996, the release of the Surgeon General’s Report on Physical Activity and Health provided a springboard for the largest government effort to date to promote physical activity among Americans. This redefined exercise as a key component to health promotion and disease prevention, and on the basis of this report, the Federal government mounted a multi-year educational campaign. The Surgeon General’s Report, a joint CDC/ACSM consensus statement, and a National Institutes of Health report agreed that the benefits mentioned above will generally occur by engaging in at least 30 minutes of modest activity on most, if not all, days of the week. Modest activity is defined as any activity that is similar in intensity to brisk walking at a rate of about 3 to 4 miles per hour. These activities can include any other form of occupational or recreational activity that is dynamic in nature and of similar intensity, such as cycling, yard work, and swimming. This amount of exercise equates to approximately five to seven 30-minute sessions per week at an intensity equivalent to 3 to 6 METs (multiples of the resting metabolic rate*), or approximately 600 to 1200 calories expended per week. Do I stretch before or after exercise? Can I do strength training and lift weights? How do I know if I’m exercising at the right intensity? What if I develop symptoms such as dizziness, light-headedness, or nausea? A personal trainer or exercise professional can answer all of these questions for you and establish a well-rounded exercise program that is safe and effective. A personal trainer will tell you what types of aerobic exercise are most appropriate for you and devise an exercise program tailored towards your needs. This will include guidelines for frequency (how many times per week), intensity (how hard you should exercise), and duration (how long each exercise session should last). A well-designed exercise routine will start with a warm-up that includes dynamic movements designed to raise the heart rate, increase core temperature, mobilize the major joints in the body, and prepare the body for more intense exercise. Warm-up can be followed by either aerobic exercise or weight training. Your trainer can monitor your heart rate and blood pressure during both activities to make sure you are exercising at the proper intensity. 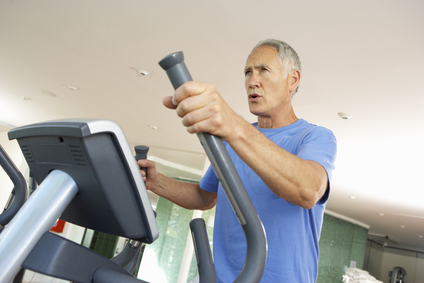 If heart rate and blood pressure get too high, your trainer will have you decrease the intensity of exercise or stop. If you develop any symptoms while exercising, your trainer will be right there to advise you and check your vital signs. Weight training is very safe as long as it is performed with proper supervision. Your trainer will recommend the most appropriate exercises for you to do and emphasize proper breathing and technique. Under the guidance of an exercise professional, you can help to improve aerobic capacity, decrease blood pressure and cholesterol, improve good cholesterol, lower blood glucose, improve muscular strength, increase joint range of motion, and lower weight and body fat. All of these will result in a lower risk for developing cardiovascular disease or if you already have disease, it will decrease the chances of subsequent cardiovascular events. Most importantly, working with an exercise professional will extend your lifespan and greatly improve the quality of your life. If you’re interested in learning more about this topic, join Eric Lemkin for his upcoming webinar, Essentials of Cardiovascular Disease and Exercise. 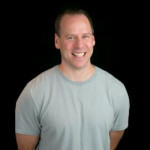 Eric Lemkin is a certified personal trainer, strength & conditioning specialist, corrective exercise specialist and founder of Functionally Active Fitness. Lemkin has been a certified personal trainer for 17 years and has helped people ages 8-80 reach their fitness goals through customized personal training – specializing in exercise for the elderly or handicapped. Kochanek KD, Xu JQ, Murphy SL, Miniño AM, Kung HC. Deaths: final data for 2009 [PDF-2M]. National vital statistics reports. 2011;60(3). Roger VL, Go AS, Lloyd-Jones DM, Benjamin EJ, Berry JD, Borden WB, et al. Heart disease and stroke statistics—2012 update: a report from the American Heart Association . Circulation. 2012;125(1):e2–220.